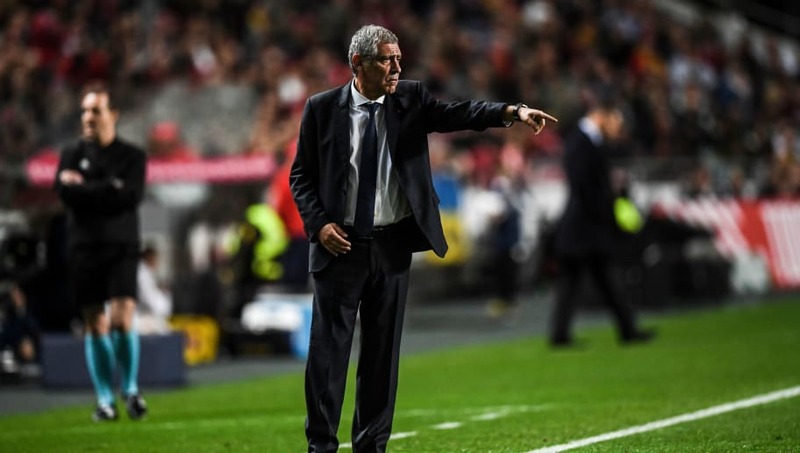 ​Portugal manager Fernando Santos has claimed that the team's draw against Ukraine in their Euro 2020 qualifier was unfair, and insisted that they would bounce back from the result in their quest to successfully defend their title. Cristiano Ronaldo returned to the team for the first time after the world cup in Russia, after the player and the manager mutually agreed that he could skip the UEFA Nations League. However, he could not help Portugal get the three points thanks to an inspired performance from the Ukraine goalkeeper. Santos believes that the team should have got the win, but is confident they can turn around the underwhelming start in the next game against Serbia on Monday. "The team was good, but did not win. We deserved to win," he said, according to ​Goal. "The players tried, created situations, but we were not able to score. This result will not result in any kind of blow, it will give us more strength for the game with Serbia. The players will rest and recover so we can win." "Overall the team was well. We didn't win, so you can never say that everything is fine, but we had good periods. Essentially, we failed to capitalise on the situations that we were able to create. The result is unfair, it doesn't leave us satisfied, but we have to win the next games." The game against Serbia would not be any easier after the latter drew 1-1 in a friendly against Germany, but Portugal will need to start winning games if they want to top their group.